Superior business performance comes from being different. You can’t stand out if you run with the herd. Sure, every business says they are different. Websites claim exceptional customer care and allude to going the extra mile but often these are just … “marketing slogans that will not withstand competition” (Michael Porter)* When it comes to the underlying activities, many businesses are very similar to their competition as businesses within industries spawn clones. Many small businesses are set up by people who used to work for some one else and then decided to go on their own in the same industry. Their idea of how a business should be run is modelled on how their old boss ran their business and the underlying activities are replicated. Bigger businesses adopt the same best practices and benchmark against their competition. They all end up doing the same thing and in the same way!! But as Michael Porter puts it …” the essence of strategy is in the activities – choosing to perform different activities than rivals.”*. He goes on to explain that these activities need to be aligned to meeting the needs of the business’s chosen customer segments. So we need to choose our customer segments and we need to choose the activities that best meet the needs of those customers. That’s a lot of choosing and there in lies the rub! In my experience business owners are very comfortable with the idea of choosing until they understand what this really means. Because choosing really means excluding! It means not being all things to all people. It means being unacceptable to some customers or customer segments. It means alienating some potential customers. It means saying no when customers or managers seek to pull you away from your market focus! In this month’s obk mba course we have started to look at competitive strategy and that means covering the seminal work in this area by the legendary Michael Porter. Much of Porter’s research is in the area of big business. But his theories apply equally to small business. Small businesses that are prepared to focus on meeting the specific needs of a specific type of customer and align their resources and capabilities to do this, outperform the rest. This has been tested in many different markets and industries. In the fight between the specialist and the generalist, the specialist always wins. If you have a problem with your heart, would you prefer to see a cardiologist or your GP? If your horse is sick do you go to a general veterinary surgeon or do you go to a horse specialist? The more focus you have, the greater your ability to develop your knowledge and expertise, the lower your costs (“Economies of scope”: Michael Porter) and the more attractive you are to those who need that specialism. Try creating a marketing plan for a generalist business that competes against specialists and you will see what I mean! 1. Market credibility; Even if a business that offered a wide range of services was good at everything it offered, the market wouldn’t believe it. 3. Management have unclear priorities. So why do businesses fight against a “focused” strategy? The answer to this is probably rooted in human psychology. Darwinian Theory of Evolution suggests that being in the herd is more likely to mean survival. We are hard wired to avoid risk, and being different is, or at least feels, risky. It feels less risky to copy others. By being appealing to a wide group of customers by offering a wide range of solutions we reduce the risk of being unloved, left out in the cold. Seen like this, diversification would seem very rational. Indeed it is the policy of choice for many businesses of all sizes. It is often the quickest and easiest way of incrementally adding to profit, but not without a longer term cost. Apparently small and harmless incremental movements away from the business’s initial focus eventually add up and businesses find themselves a million miles from where they started. They may start as a “meaningful specific,” but they end up as a “wandering generality”. The dangers of incrementalism are all around us. Often individual pieces of legislation make perfect sense on their own. It is difficult to argue against many health and safety provisions but the overall impact may be undesirable. Some would argue that it diminishes personal responsibility and that has wider implications for society. In business incremental diversification is insidious. Individual decisions that serve the short term profitability objective are easily justified without due consideration of the wider and longer term implications. Slowly but surely businesses seeking to reduce their risk deprive themselves of the ability to create and capture value. This is now recognised by financial markets. It is referred to as the diversification tax; a discount applied to the share price of companies who are not sufficiently focused. For a large company Apple have relatively few products compared to other large technology companies. 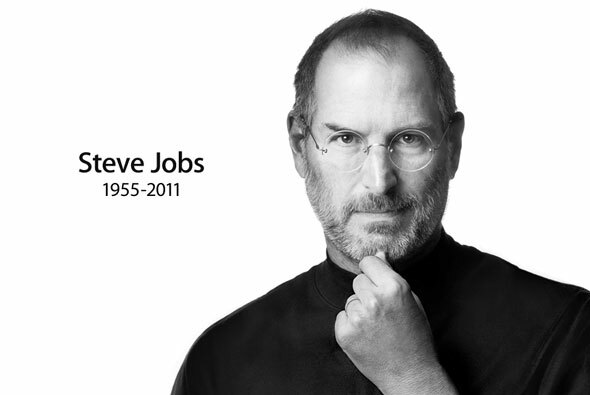 Steve Jobs famously cut their offering to just 5 products when he returned to run the company for a second term. Even now they only have about 60 products compared to say, Hewlett Packard that have more than 300. So next time you are offered something that will give you a short term “high”, as the advert says, just say NO!.